All Web addresses mentioned were functional as of 12-18-15. From the Cumberland Gap to the Atlantic Ocean, this is Virginia Water Radio for the week of December 21, 2015. This week, we look back on 2015 with a medley of mystery sounds. Have a listen for about 60 seconds, and see if you can identify these sounds from the past year of Virginia Water Radio. If you guessed all these, you get an aquatic A+! The sounds were the names of three Virginia salamanders; Virginia Tech students sampling for freshwater snails; bat-echolocation sounds; a Spotted Sandpiper; three of the names of tropical storms in 2015; swarming adult midges; the Conway River in Madison County, 20 years after that county’s historic 1995 flood; part of “Lesson from an Egret,” by Alyson Quinn; and an excerpt from “All Hands Radio,” by the U.S. Navy, which turned 240 in 2015. Thanks to the Lang Elliott for permission to use the Spotted Sandpiper sound, to Alyson Quinn for her egret essay, and to several Blacksburg friends for providing their voices. We close this 2015 revisit with a 60-sec sample of music heard on Virginia Water Radio this year. Thanks to No Strings Attached, Bob Michel, and The Steel Wheels for these pieces. And to 2015: so long—soon—and thanks for the water! MUSIC - 61 sec - “Minor Meander,” by No Strings Attached; “The Oysterman’s Ball,” by Bob Michel; “Riverside,” by The Steel Wheels; and “Ode to a Glowworm,” by No Strings Attached. The bat-echolocation sounds were provided by Alexander Silvis, a postdoctoral research associate with the Virginia Cooperative Fish and Wildlife Research Unit and the Virginia Tech Department of Fish and Wildlife Conservation, used with permission. 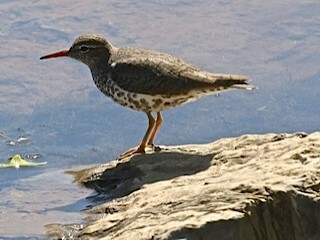 The sound of the Spotted Sandpiper was taken from the Stokes Field Guide to Bird Songs-Eastern Region CD set, by Lang Elliott with Donald and Lillian Stokes (Time Warner Audio Books, copyright 1997), used with permission of Lang Elliott, whose work is available online at http://www.langelliott.com/ and the “Music of Nature” Web site, http://www.musicofnature.org/. The excerpt of “Lesson from an Egret” is courtesy of Alyson Quinn, from her blog “Winterpast” (9/21/07), available online at http://www.winterispast.blogspot.com/, used with permission. Ms. Quinn made the recording after a visit to Algonkian Regional Park, located in Sterling, Va. (Loudoun County), part of the Northern Virginia Regional Park Authority. “Minor Meander, from the 1999 album “In the Vinyl Tradition Volume II,” and “Ode to a Gloworm,” from the 1999 album “In the Vinyl Tradition Volume I,” are copyright by No Strings Attached and Enessay Music, used with permission. More information on No Strings Attached is available online at http://enessay.com/. “The Oystermen’s Ball,” from the 2004 album of the same name, is copyright by Bob Michel, used with permission. More information on Mr. Michel's music is available online at http://www.bobmichel.com/. “Riverside,” by The Steel Wheels,” is from the 2011 album “Live at Goose Creek,” recorded October 10, 2014, at Franklin Park Performing Arts Center, Purcellville, Va., and produced by Goose Creek Productions; used with permission of The Steel Wheels. More information about The Steel Wheels is available online at http://www.thesteelwheels.com/. Previous episodes of Virginia Water Radio are listed by category at the Index link above (http://www.virginiawaterradio.org/p/index.html). Please see the following episodes (all are hyperlinked to the respective episode) to listen to the sounds and music heard in this episode, to see additional acknowledgments to people involved, to find more information and sources used, and to see suggestions on correlations to by Virginia’s K-12 Standards of Learning (SOLs; Virginia’s SOLs are available from the Virginia Department of Education, online at http://www.doe.virginia.gov/testing/). Spotted Sandpiper and Baltimore Oriole, photographed along the New River on April 29, 2015, by Robert Abraham of Christiansburg, Va.; used with permission. 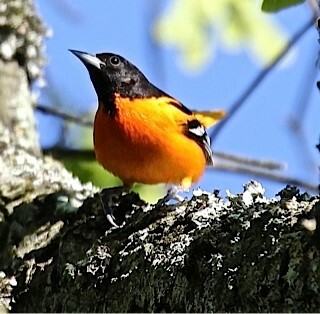 Mr. Abraham’s photos provided the idea for Episode 264, 5-4-15, A Bird Day on the New River.